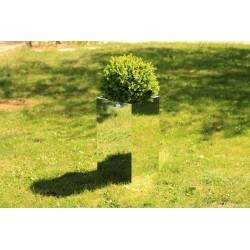 TendanceMiroir® is proud to present its design mirror flower pot collection. For an original and customizable decoration, choose sparkling flower pots. Inside or outside, these pots bring light and brightness to your environment and gives more volume to your rooms. Thanks to their reflects, they play with transparency and create astonishing trompe-l’oeil! 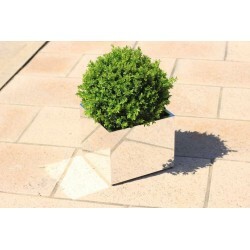 TendanceMiroir® created three flower pot styles for you : window boxes, cubes and tall pots. They are the perfect accessory to blend nature, imagination and decoration. 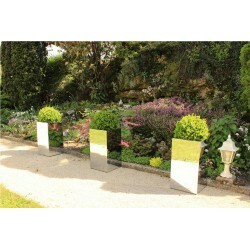 Mirror Flowerpots There are 6 products. HIGH POT MIRROR The high pot mirror style is an original creation of Tendance Miroir®. With its high shape, it raises plants and creates an impression of weightlessness. 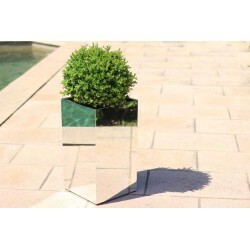 The sides of the flowerpot mirror enlighten your space and plays with the "trompe l’œil" to give the impression of a bigger indoors or outdoors. 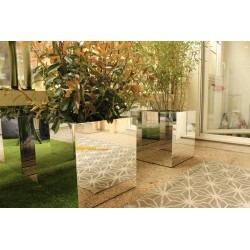 With Tendance Miroir®, create the garden that reflects you! 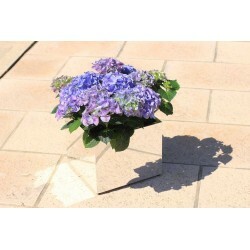 TRENDY-TALL 54 Mirror Flower Top 30x30x54 cm Made in France by TEND'M brand, these Mirror Flower Boxes were created for indoor and outdoor decoration. Thanks to their magnitudes and their transparent reflections, the mirror faces give a floating and light impression while increasing the brightness of the darkest corners. Flowers Tray Mirror Top French made by TEND'M brand , these trays Flower Mirror were created for interior decoration as external orignale . With their quantities and their transparent reflection , mirrors and surfaces give a floating ligther printing while increasing the brightness of the darkest corners. TRENDY-TALL 110 Flowers Tray Mirror Top French made by TEND'M brand , these trays Flower Mirror were created for interior decoration as external orignale . With their quantities and their transparent reflection , mirrors and surfaces give a floating ligther printing while increasing the brightness of the darkest corners.